I came across a tweet by the Human Rights Law Centre of its recent statement to the UN Human Rights Council regarding Australia’s indefinite detention of refugee children on Nauru. Here is the link. My country isn’t the only country perpetrating this, is it? This led to my haiku. This haiku is a contribution to Ronovan’s Haiku Challenge #207. 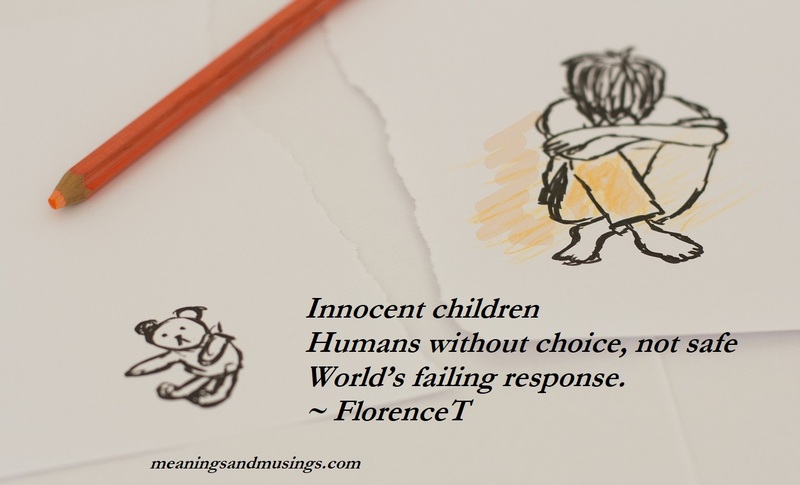 This week’s prompt words are child and safe. Coincidence? This song was playing on my car’s sound system shortly after I read the HRLC’s statement. It’s been a while since I have heard this song play on mainstream commercial stations. Apt. Previous Ocean’s 8, any good?